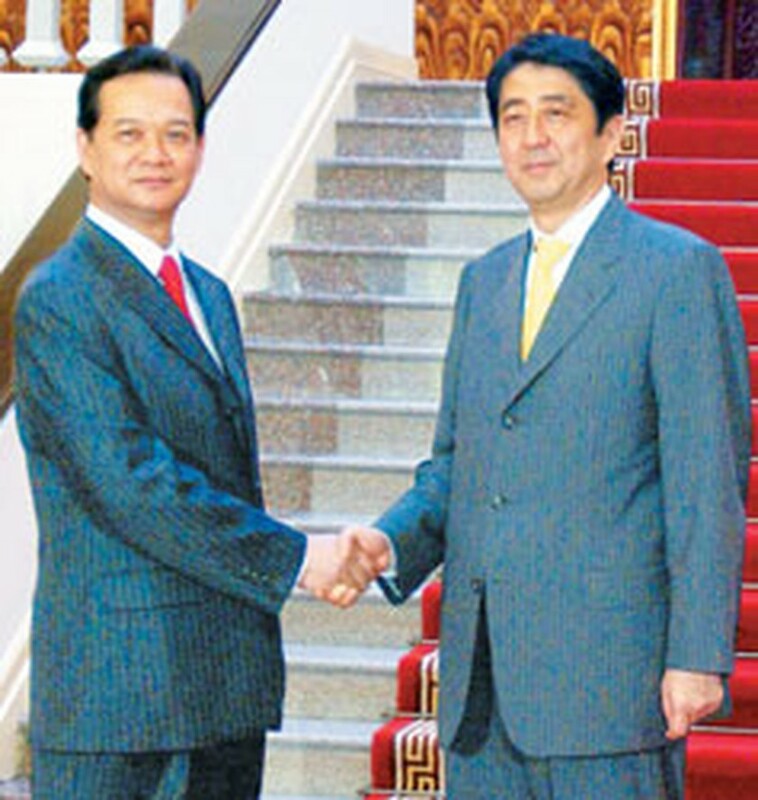 Vietnamese Prime Minister Nguyen Tan Dung receives his Japanese counterpart Shinzo Abe at Ha Noi in Nov, 2006. A seminar to call for investment in Viet Nam was held in Hyogo prefecture, Japan, on Dec. 22 with the attendance of representatives from more than 100 local businesses. Addressing the workshop, jointly organised by the Kobe Chamber of Commerce, the Vietnamese Consulate General in Osaka and the Japan-based Vietnam Economic Research Institute, Consul General Nguyen Hong Phong highlighted Viet Nam's outstanding socio-economic achievements during the past 20 years of renewal. 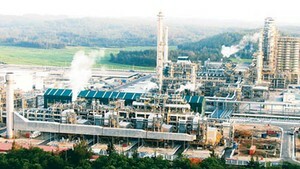 Since 2001, Viet Nam has posted increasing economic growth rates, with a record of 8.4 percent last year, he said, noting that the rate was 8.2 percent in the first 11 months of 2006. The country has so far this year attracted US$10 billion in foreign direct investment (FDI) in both newly-licensed and additional projects, the consul general added. Consul General Nguyen Hong Phong called Japan a top partner of Viet Nam while emphasising the importance and the development of the Viet Nam-Japan relations. He said that in the first 11 months of this year, two-way trade between Viet Nam and Japan reached approximately US$9 billion and Japan's direct investment in Viet Nam was reported at over US$7 billion with 724 projects. Japan is currently the most efficient foreign investor in Viet Nam, with an operating capital of US$4.8 billion, he added. According to the diplomat, 2006 was seen as a special year for both countries, with official visits to each other by the Prime Ministers of the two countries during which they agreed to take bilateral ties to a new height. Mr.Phong stressed that the Government of Viet Nam will continue to improve its investment environment so as to attract more foreign investment, particularly from Japan. During the seminar, many Japanese companies operating in Viet Nam listed the stability of socio-political situations, the quality of labour forces and low labour costs as favourable conditions of the investment environment in Viet Nam. They, however, cited shortcomings in policies, infrastructure and electricity and water charges, and called for prompt actions from the Vietnamese Government to redress them to further draw foreign investment.